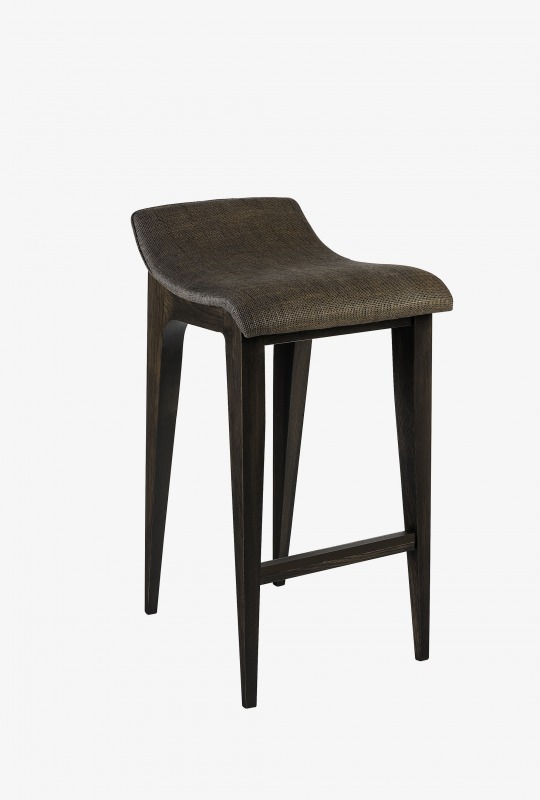 The curved lines of this Barstool offers comfort to this modern design. Available in either leather or fabric for the seat, with solid oak frames. Your choice of 3 different kick plates to create the exact finish you require. Available in both bar and breakfast heights.